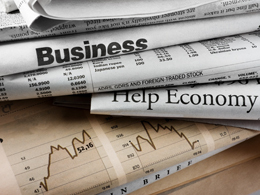 Last week’s economic reports were surprisingly strong, with both consumer and business data beating expectations, often by significant amounts. These results support the idea that the economy continues to improve—and that the improvement appears to be accelerating. More confirmation of that came with the upward revision to the estimate of U.S. economic growth for the third quarter, from 2.9 percent to 3.2 percent. Last week’s reports covered a wide range, from consumers to business. Consumer confidence soars. On Tuesday, the Conference Board released its index of consumer confidence for November, which blew away estimates at 107.1, a nine-year high and a significant increase from the previous month's upwardly revised 100.8. Coming in well above expectations of 101.2, this is the highest level of consumer confidence since before the financial crisis and suggests that the removal of election uncertainty has had a positive effect. Personal income growth increased by 0.6 percent in October, the most in six months and well above expectations of a 0.4-percent increase. Following an upwardly revised 0.4 percent in September, this was consistent with the improving confidence figures. Spending growth increased by 0.3 percent, down from the prior month’s upwardly revised 0.7-percent growth. The drop was largely explained by low utilities spending, driven by warmer than usual weather, rather than by a sudden decision by consumers not to shop, and it should reverse itself in coming months. Manufacturing improves. The ISM Manufacturing Index, released on Thursday, indicated that business confidence is improving as well. It increased to 53.2, the third straight gain and a five-month high, up from 51.9 and beating expectations of an increase to 52.1. Eleven sectors showed improvement, broadening the recovery. This takes manufacturing confidence further into positive territory as the slow rebound continues. Exporters appear to be finally benefiting from faster global growth, and although the dollar’s increase since the election may blunt this, conditions remain more favorable than they have been. The ISM Non-Manufacturing Index, released today and discussed below, shows that this improvement extends into the service sector as well. Employment stays positive. Finally, and most important, the employment report for November came out on Friday. Job growth increased as expected, to 178,000, but the prior month was revised down to 142,000. The unemployment rate declined significantly, from 4.9 percent to 4.6 percent, on a surprise decline in the labor force. Wage growth also declined by 0.1 percent, from a 0.4-percent increase the previous month. This was more of a mixed report than we’ve seen recently, with the decline in wage growth of particular note, but it remains positive overall. The Federal Reserve is still on track to raise interest rates this month. This week will be fairly light in terms of data. The ISM Non-Manufacturing Index came in this morning with a surprisingly strong increase to 57.2 in November, up from 54.8 the prior month and well above expectations of an increase to 55.5, showing that the service sector is also feeling better. Tuesday’s international trade report should show that the trade deficit fell back again, from $36.4 billion to $41.6 billion, on a reversal of a surprising surge in soybean sales abroad. Finally, on Friday, the University of Michigan consumer confidence survey should ratify the Conference Board’s results, with an expected increase from 93.8 to 94.1. The risk here is clearly to the upside.